This 3 day course is offered to individuals who have completed Wellness Tui Na Therapy (Level 1). 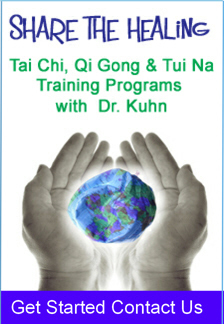 This course is also offered to massage therapists who would like to integrate special Tui Na techniques to help their clients accelerate their healing process. To review whether you have sufficient background and or experience, Contact Us. The techniques in this course target specific ailments such as Tui Na for emotional balance, Tui Na for heartburn, Tui Na for insomnia, Tui Na for weight issues and digestive imbalances. We will also spending time exploring techniques to support cancer healing and prevention. This is a hands-on learning with interactive practice between students providing students with firsthand experience in this unique healing art. Cancellations made beyond 5 days will qualify for a full refund less a 10% administration fee plus credit card charges if applicable. Refunds cannot be made for withdrawals initiated within 5 days of the scheduled course /workshop. However, we will provide a FULL credit towards any Chinese Medicine for Health course/workshop within one year. If you use your credit within the year for another workshop and cancel, or do not attend there is no further refund, or credit. If you do not attend, or leave once a course/workshop starts, there is no refund or credit If we need to cancel a course/workshop your deposit will be refunded in full or credited to another course/workshop. Please allow up to two weeks for the refund to be processed. East Coast Training, Alternative Medicine Florida Practitioner, Oriental Medicine Florida Practitioner, Tai Chi Teacher, Tai Chi Course Local Florida Communities served include Sarasota Springs, Fruitville, Gulf Gate Estates, Bayshore Gardens, South Bradenton, Bradenton, Palmetto, Laurel, Venice, South Venice, North Port, Englewood, Saint Pete Beach, Gulfport and Saint Petersburg. We have trained individuals from throughout Canada and almost all of the 50 states including: Alabama, Alaska, Arizona, Arkansas, California, Colorado, Connecticut, Delaware, Florida Georgia, Hawaii, Illinois, Indiana, Iowa Kansas Kentucky, Louisiana, Maine, Maryland, Massachusetts, Michigan, Minnesota, Mississippi, Nevada, New Hampshire, New Jersey, New Mexico, New York, North Carolina, North Dakota Ohio, Oklahoma, Oregon, Pennsylvania, Rhode Island South Carolina, Tennessee, Texas, Utah, Vermont Virginia, Washington and West Virginia.